M,Mohanan's "916" narrates a set of events when two closely-knit families lose their balance. The movie talks about the lives of two families. One is Dr Ramesh(Mukesh), his wife(Meera Vasudev) and two children. The second family has two members only - Dr Harikrishnan(Anoop Menon) and his daughter(played by Malavika). While Dr Harikrishnan is an altruist who considers his profession as a means to serve the society, Dr Ramesh thinks otherwise. Asif Ali enters their lives as Prasanth, a youngster who falls in love with Malavika. The rest of the events form the crux of the story. Thilakan, Salim Kumar, Mamukoya, Kottayam Naseer, Unni Menon and Monica are the supporting cast. The lyrics are penned by Rajiv Menon, Rafeeq Ahmed and Anil Panachooran and the music is set by M Jayachandran. 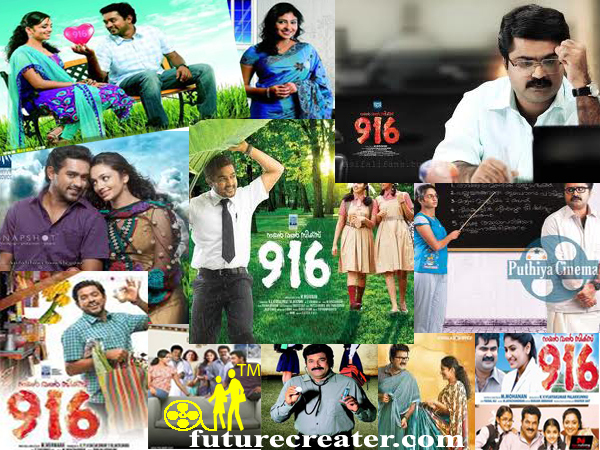 Under the banner of Aadith Aiswarya Sneha Films, "916" is produced by K.V.Vijayakumar.